Wildawood is set within five acres of both dense and open forest, with a beautiful stream running through it. It is the perfect place to enjoy a range of fun-filled activities and experience everything the natural world has to offer. Based near Newmarket, just outside Cambridge, we are easy enough to find, whilst being tucked away in a safe and secure private facility. While the fun and excitement at Wildawood is endless, we know that sometimes children need a break to get some rest, even though they might never admit it! With that in mind, we have a spacious yurt with comfortable furnishings and a log burner so there’s somewhere to stay warm and dry. They can even curl up and have a nap if they want. 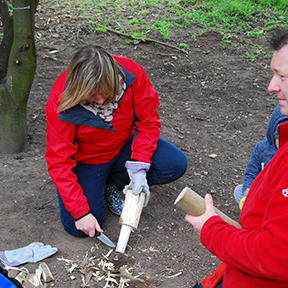 Whilst the Wildawood experience is all about the children, our Forest School leaders, Darren and Melissa help bring this experience to life. Here’s a little bit more about them! They have 7 children ranging from 1year old to 18 years old and 3 dogs! We are very busy but have lots of family fun which is filled with laughter and love. 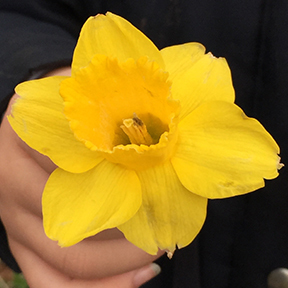 After training as an Early Years teacher at Cambridge University, Melissa became a teacher for a couple of years and then opened Rainbow Day Nursery over ten years ago. Darren used to be involved in the building industry and changed his career in 2014 to work alongside Melissa at Rainbow Day Nursery to develop and enhance their outdoor provision as they both realised and understood the importance of this for children. 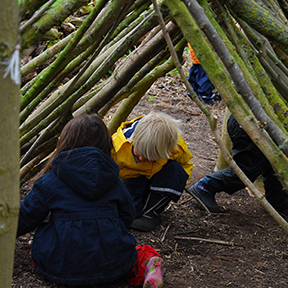 They have also successfully run a Forest School programme at the nursery in their local nature reserve for almost two years. The two of them have always felt strongly about the benefits of Forest School learning. Ond Finneran - Ond is our Nature Nursery manager. 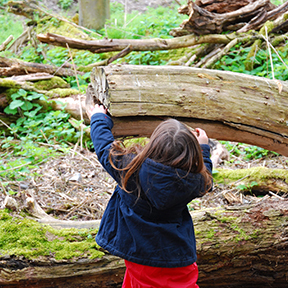 She has lots of experience with early years and forest school. 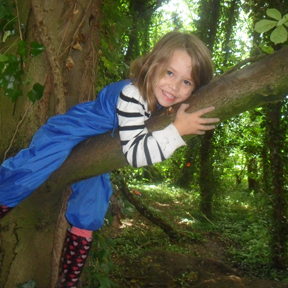 Ond has her level 3 childcare qualification and has almost completed her level 3 forest school training. Her passion is the outdoors and she loves nothing more than being in the forest. Sam Hayward - Sam is our deputy at Wildawood. She has level 3 in both childcare and her level 3 forest school award. Sam loves facepainting with the mud! Dann Hutton - Dann is a level 3 forest school leader and works in the nature nursery and our home education community. Dann loves making things with wood!